Television documentaries focusing on the use of ancestral DNA to reveal hidden mysteries in family trees are becoming increasingly popular. However, in our house they are known as ‘the time Daddy rants at the TV’. Quite frequently, you will hear me exclaim to my kids ‘You can’t say that!’ or ‘There’s no evidence to support that’, before I throw my hands up in exasperation. Despite the genomic revolution having swept through science and the popularity of testing for ancestral DNA, there is still a lot of hype and misconception surrounding the field. So, what is the hype and should we be concerned? Ancestral DNA doesn’t deal in deep time. Rather, it’s limited to the past 500 years, which is pretty much the limit of conventional family history research. 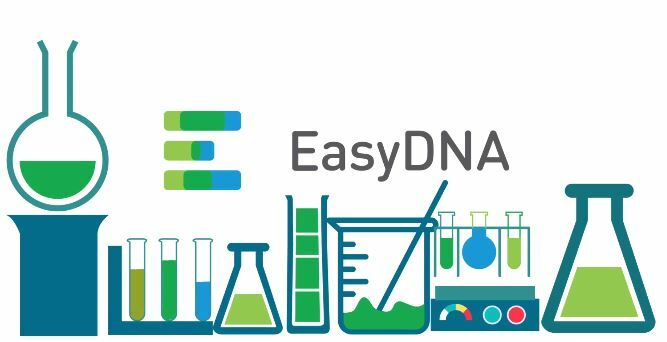 In New Zealand, the company EasyDNA will provide ancestry DNA testing for around $500. 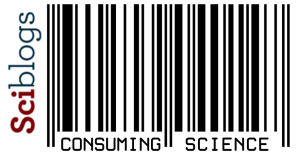 Similar overseas outfits include AncestryDNA, 23andMe, MyHeritage, and FamilyTreeDNA. So, how does it work? These companies get you to spit in a tube or swab your mouth with a Q-tip and send it away. From that sample, they sequence your DNA, and about two weeks later you get a summary ‘revealing’ your family history and DNA relatives. It’s that easy. But what’s the catch? In each of our cells we carry our very own genetic blueprint. This genetic blueprint also represents the culmination of a long journey that started in Africa, when modern humans started to colonise the world around 150,000 years ago. Read the strings of DNA letters that make up our genetic code correctly and you can reveal this long lost journey as easily as reading the pages of your favourite book. Large international projects like Africa to Aotearoa: The Longest Journey, The Genographic Project and Oxford Ancestors use this genetic blueprint to track humanities journey around the world. Scientists use the mitochondrial genome, (inherited only through the female line), and the Y chromosome, (passed down from fathers to sons), as well as more commonly genome sequencing, to look into this exodus. Known as Daughters of Eve and Sons of Adam, these mitochondrial and Y chromosome lineages can narrow down one’s genetic origin in deep time to a broad geographic region, tens of millennia ago. My mitochondrial DNA says I’m T1a1, thought to have derived in the Near East around 25,000 years ago. My Y chromosome says I’m R-M207, and hail from Eurasia, possibly around the same time as T1a1. This is the extent of the information provided from taking part in The Genographic Project. Combined with ancient DNA however, these techniques are becoming an increasingly powerful tool in tracking human migrations and cultural evolution, like the transition from hunter gatherer to farming societies, through space and time. The latest iteration of The Genographic Project can now calculate the amount of Neanderthal DNA we carry in our genomes. But what can DNA tell us about our more recent ancestry? Ancient DNA showed this male skeleton found under a carpark in Leicester in England was King Richard III and that there was potentially a false paternity event in the male line leading to the monarch. The lure for many people is that while historical records may not tell the truth, DNA does not lie; that is why DNA is such a powerful tool. 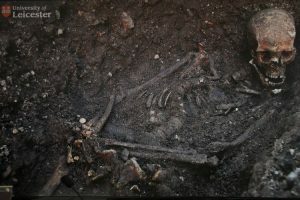 Take my colleague for example, who was recently involved in using ancient DNA to show that the male skeleton found under a carpark in Leicester in England was King Richard III. My colleague frequently jokes that he had to leave the country because the ancient Y chromosome DNA indicated that there was potentially a false paternity event in the male line leading to Richard III. None of the Y chromosomes of supposed living descendants of paternal relatives of Richard III matched the monarchs. The upshot, depending on when and in which line this false paternity event happened, either Richard III or alternatively the entire Tudor dynasty may not have had a claim to the throne of England. This is not surprising, given the average false paternity rate is usually between 1-2%. A more recent example is the woman who undertook ancestral DNA testing and discovered her father had been switched at birth. But what about more outlandish claims. Can these be believed? 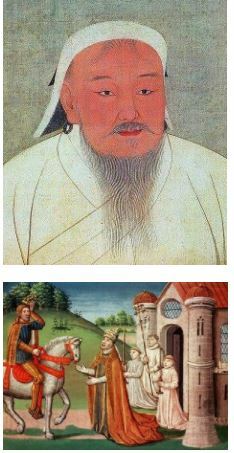 Go back enough generations and millions of people of Asian and European descent are related to Genghis Khan (top) and Charlemagne (bottom, on horse), respectively. And Charlemagne, the Celts, Vikings and the Saracens. Ancestral DNA testing is big business and like most things you see on TV, you should never let the truth get in the way of a good story or a marketing ploy. I’ve been on both sides of science and the media, so I have developed a knack for spotting when data is overstretched. Some companies, as revealed by Adam Rutherford of the BBC’s Inside Science radio show, (who is a geneticist by trade), have outlandishly claimed that they can reveal the precise location of the village your ancestors lived in millennia ago, or historical genius matches, whereby you are told how many tens of millennia ago your mitochondrial and Y chromosome lineages diverged from famous people such as Queen Victoria, Charles Darwin or Abraham Lincoln. Just remember, that you have two parents, four grandparents, eight great-grandparents, and so on. Go back far enough and everyone is related. I, like Adam Rutherford, and other New Zealanders whose ancestors emigrated from Europe, will no doubt be related to Charlemagne. As Professor Mark Thomas from University College London describes it, these ancestral relationships may as well be described as “homeopathic” because the genetic signal has been diluted so much through the generations. So how do we make sense of our ancestral DNA results and abandon all the hype and marketing? Geneticists are actually more common than you would think. There’s more than two in my extended family. Get a geneticist to talk to your local genealogy group about what family history questions are testable with ancestral DNA. Watching the current series of the DNA Detectives, (or as we call it, Daddy rants at the TV), there are cases where genetics expertise would be beneficial to viewers in explaining ancestral DNA results, such as visually mapping genetic results onto a genealogy. A few of the many examples include singer Stan Walker’s 0.1% Native American DNA, (cue homeopathy compared to the 1.5-2% Neanderthal DNA in general that is present in our genomes except those of sub-Saharan African descent), possibly a reflection of shared Native American and Southeast Asian/Oceanian ancestry during the human exodus Out of Africa or more recently after European arrival in Polynesia; Jacinda Ardern’s Canadian DNA relative Whitefeather who is genetically so similar they could be sisters; or why so many of the well-known kiwi’s DNA relatives are in America. Rather than a lost Polynesian tribe of Brazil, the Botocudo ancestry probably reflects Polynesian DNA entering the genomes of indigenous Brazilians through the 19th Century slave trade. More amusing was a family friend whose ancestral DNA results indicate that she is related to the lost Polynesian Botocudo tribe of Brazil, (cue marketing ploy). 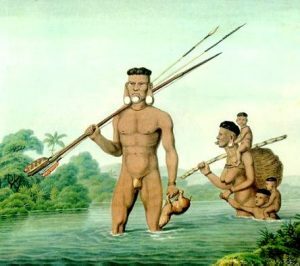 Rather, ancient DNA research suggests Polynesian DNA entered the genomes of indigenous Brazilians through the 19th Century slave trade, so the family friend’s genetic relationship to Brazil is via a common ancestor potentially many generations ago in Polynesia. Just remember, the genetic matches you get using ancestral DNA are only as good as the database each company is using. There is a reason why you have a lot of ‘cousins’ in the US because that is where the majority of people using these testing companies are from. People should choose a company where you have the greatest likelihood of a match with DNA relatives, which brings me to another point. You are not your genetic code, and DNA is not the be all and end all. Just as we do in reconstructing prehistoric ecosystems, we need to use all the tools in the tool box. In describing extinct species, scientists use a combination of ancient DNA, morphology, (shape of bones), and ecology. Likewise, ancestral DNA does not make sense unless it is viewed alongside family history and should not be used as a substitute for historical detective work. In the DNA Detectives, the family history of famous kiwi’s including Antonia Prebble, Miriama Smith and Sir John Kirwin could just have easily been revealed through historical legwork and not DNA. Our ancestry and family trees are a mess; they are not nice tidy trees, rather a thick interlaced bush. Only by using all the available tools can we begin to reliably reveal hidden family mysteries. Now, onto next week’s episode of the DNA Detectives. I will try not to rant at the TV, quite so much.